The New English Kitchen: Changing the Way You Shop, Cook and Eat by Rose Prince (2005) – A modern-day manual for ‘making the most of what you have’, using local and seasonal food to make stocks, sauces and store cupboard basics as well as frugally making the most from cuts of meat and dealing with vegetable gluts. This is one of our absolute favourites. At Elizabeth David’s Table: Her Very Best Everyday Recipes by Elizabeth David (2010) – A cookery bible collection of the most inspiring, yet everyday recipes from the woman who changed the face of British cooking after the war. From tasty soups and starters through to meat, fish, desserts and baking. A New Book of Middle Eastern Food by Claudia Roden (1986) – The ultimate collection of recipes from the grand dame. Taking inspiration from her childhood in Cairo she brings together recipes and anecdotes from the varied cuisines of the Middle East and North African cultures. Authentic and easy to follow recipes which will lead you on a hunt for interesting, and maybe unfamiliar ingredients across the food shops of E17. Real Cooking by Nigel Slater (2006) – This book is not about making fancy, fiddly food, it’s about real cooking. Using the best quality ingredients to make fresh, simple food that is a pleasure to eat at home with family and friends. Preserves: River Cottage Handbook No.2 by Pam Corbin (2008) – Part of the fantastic River Cottage Handbook series, this is an indispensable, comprehensive guide to preserves, cordials, sauces, vinegars, chutneys and pickles. Easy and rewarding recipes and techniques for making the most out of seasonal gluts of fruit and vegetables – everything from a simple raspberry jam to sloe gin or nettle pesto. What’s your favourite cook book? 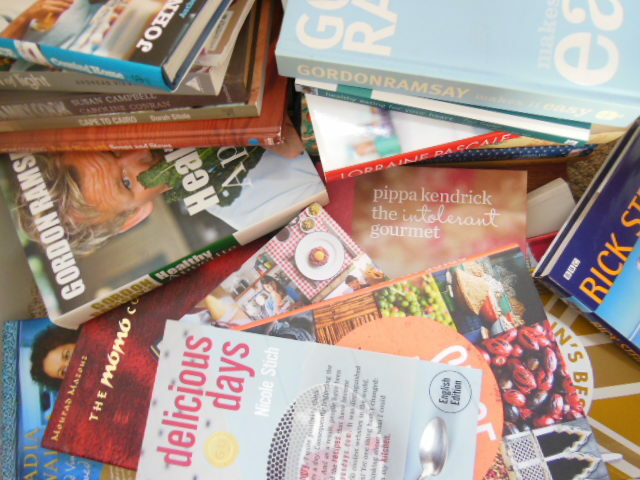 This entry was posted in E17 Cook Book Club, Foodie Finds and tagged Claudia Roden, cook books, Elizabeth David, New Book of Middle Eastern Food, Nigel Slater, Pam Corbin, Preserves: River Cottage Handbook, Real Cooking, Rose Prince, The New English Kitchen. Bookmark the permalink.